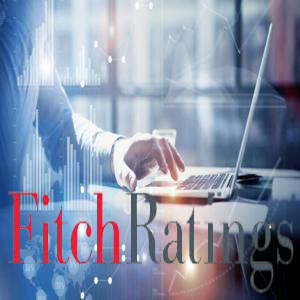 Fitch Ratings - Bangkok - 26 March 2019: Fitch Ratings (Thailand) Limited has affirmed DAD SPV Company Limited's (DAD SPV) bonds at 'AAAsf(tha)' with a Stable Outlook. The transaction is a CMBS backed by 30-year lease and fee payments from the government office centre in northern Bangkok, which is developed and managed by the Ministry of Finance's wholly owned asset development company, Dhanarak Asset Development Company Limited (DAD). Asset Quality: The ratings reflect irrevocable and unconditional lease payments from the Treasury Department (TD) of the Ministry of Finance, which is the sole obligor under the lease agreements with DAD. The transaction is linked to the creditworthiness of the TD as DAD SPV's cash flows are derived mainly from the lease payments. Financial Structure: The lease payments paid by the TD come from a government budget appropriation each year. Since the commencement of payments in July 2008, DAD SPV has received all lease payments as scheduled, with the most recent lease payments in October 2018. Based on scheduled annual lease payments, Fitch expects the transaction to be able to maintain a debt-service coverage ratio of at least 1x and withstand a refinancing rate higher than the agency's 'AAAsf(tha)' assumption of 15%. Lease payments from the TD are paid directly to DAD SPV, mitigating commingling risks. DAD also has a THB2.3 billion uncommitted liquidity facility from Krung Thai Bank Public Company Limited (AA+(tha)/Stable/F1+(tha)) to advance any unpaid lease payments for the TD. To date, this facility has never been drawn. Fitch believes state support would be forthcoming if needed by DAD, given its state enterprise status. The ratings are also underpinned by available reserves and a long-term swap agreement with the Hongkong and Shanghai Banking Corporation (HSBC, AA-/RWN/F1+), which provided guaranteed returns on cash between 2008 and 2025. Operational Risks: DAD and Conduit Management Services Limited have served as the transaction originator and administrator respectively since closing, and have the experience to carry out their duties relating to the transaction. Asset Isolation and Legal Structure: The issuer is a special-purpose company incorporated under the laws of Thailand to issue bonds, whose proceeds have been used to purchase the rights to cash flows under a set of agreements. The ratings are based on the creditworthiness of TD, which is a unit of the Ministry of Finance. Fitch considers a downgrade due to asset performance unlikely due to the irrevocable and unconditional pre-determined lease payments from the TD. Fitch has checked the consistency and plausibility of the information it has received about the performance of the asset and the transaction. There were no findings that were material to this analysis. Fitch has not reviewed the results of any third party assessment of the asset portfolio or conducted a review of origination files as part of its ongoing monitoring. Overall, Fitch's assessment of the asset pool information relied upon for the agency's rating analysis according to its applicable rating methodologies indicates that it is adequately reliable. Transaction reporting data provided by the transaction administrator Conduit Management Services Limited as at 28 February 2019. Financial data provided by Dhanarak Asset Development Co., Ltd. as at 31 December 2018. The issuer has informed Fitch that not all relevant underlying information used in the analysis of the rated notes is public.